La Spinona is a company that represents its founder Pietro Berutti, a man of great experience who believed in Barbaresco since the 1940s. Pietro's son Gualtiero, an experienced veterinary surgeon, brought his expertise not only to the breeding of Piemontese cattle, but also to the cultivation of the vineyards and selection of the best products, while respecting the environment. This is a responsibility he continues to bear, confident that his commitment is shared by his son Pietropaolo, a wine-making technician and head of production in the winery, together with the marketing side. La Spinona, a name associated with the land, originates from part of the family's life history: the still-vivid memory of their dog, Baica, a Spinone Italiano. She was a friend and "sister", who accompanied Pietro for years along the path that led to the development of the winery in the late 1940s. Baica is a symbol that still has pride of place on the company logo and, throughout the world, represents the history of a winery that makes high-quality wine through meticulous work and attention to nature, to obtain wines that are clean, elegant and traditional. 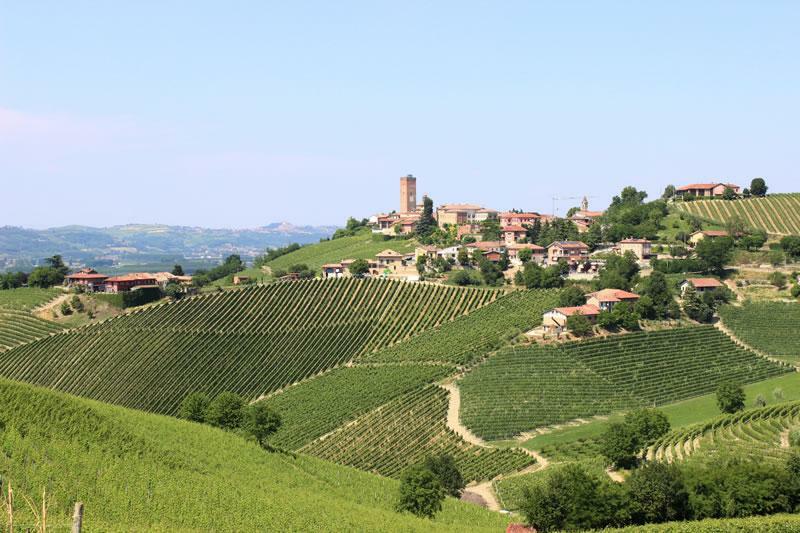 The results can be seen in abundance: the Barbaresco, Barolo, Langhe Nebbiolo, Barbera d'Alba, Dolcetto d'Alba and Langhe Chardonnay are all appreciated in the major markets, including the US, Japan and Canada. Wine Spectator 91"Menthol, eucalyptus, tar and licorice are the main flavors in this rich, distinctive red, which is firm, remaining fresh and expressive on the long, savory aftertaste. Best from 2019 through 2032. 400 cases made." ~B.S.